Raspberry Pi has unveiled an upgraded compute model called the Compute Module 3. The latest model is largely based on the Raspberry Pi 3 hardware and provides twice the RAM and roughly ten times the CPU performance of the original compute module launched in 2014. The company has launched two versions of the latest device, a 'standard' Compute Module 3 (CM3) and a Compute Module 3 Lite (CM3L). The standard version has a BCM2837 processor, which clocks up to 1.2GHz with 1GB RAM and 4GB of on-module eMMC flash. The CM3L also has the same BCM2837 processor with and 1GB RAM, but brings an SD card interface to the Module so users can choose their flexible storage as required. The foundation also announced the Compute Module IO Board V3, which lets developers program the Compute Modules and gives them HDMI and USB interfaces so they can build systems. While the CM3 costs £27 ($30), the lite version costs £22. Both of their availability will be limited for now. The company, however, clarified that despite the launch of the latest module its original CM1 module will not die out. "With the launch of CM3 and CM3 Lite, we are not obsoleting the original Compute Module; we still see this as a valid product in its own right, being a lower-cost and lower-power option where the performance of a CM3 would be overkill," said the foundation in their blog. 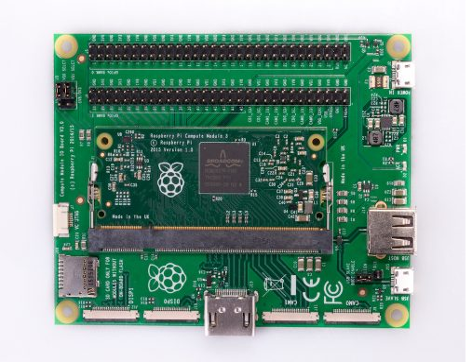 Raspberry Pi is Britain's best selling single-board computer whose upgraded models have evolved through several versions that feature variations in memory capacity and peripheral-device support. The Raspberry Pi 3 Model B released in February 2016 has on-board WiFi and Bluetooth.